DAVID LE/Staff photo. 2/27/15. 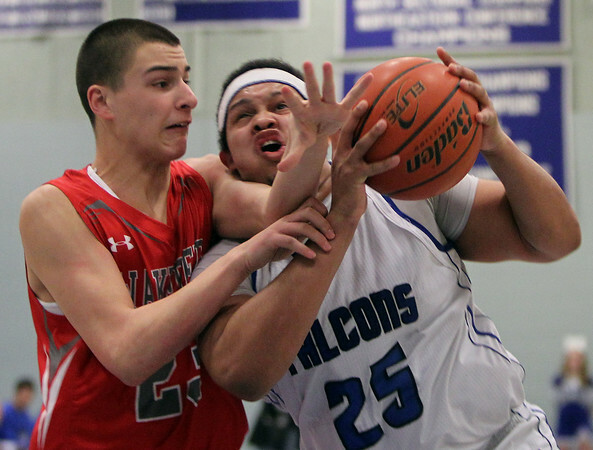 Danvers senior captain Devan Harris (25) drives hard to the hoop while being fouled by Wakefield sophomore Kobey Nadeau.